Two pages from a journal handwritten by an unknown person, but likely by a descendant of William Ripley, that lists the deaths at Cornish, New Hampshire from 1826 to 1850. This post covers deaths in 1838. 7 or 8 - Mr. Lemuel Martindale, 51. His death date is given as January 9, 1838 on a sketch on page 268 of History of the Town of Cornish, New Hampshire, with Genealogical Record, 1763-1910, Volume 2. 19 - Mr. Silas Batchelder. 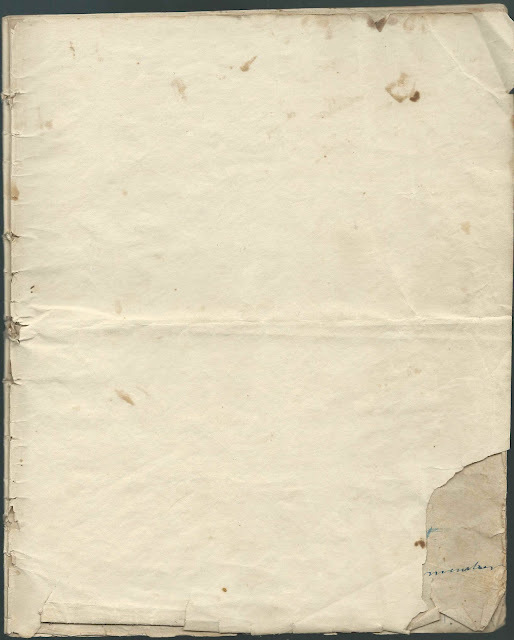 His name is spelled as Silas Bachelor on his gravestone [although spelled as Batcheller in the memorial] and in his sketch on pages 12 and 13 of History of the Town of Cornish, New Hampshire, with Genealogical Record, 1763-1910, Volume 2. 3 - Mrs. Phebe, Wife of Mr. R. Day. She was Phoebe (Choate) White Day, whose second husband was Rufus Day, as mentioned on pages 127 and 128 of History of the Town of Cornish, New Hampshire, with Genealogical Record, 1763-1910, Volume 2. Note that Rufus Day would die later this year, on November 16. 19 - Lt. John Vinton, 78. Noted as Major John Vinton in his sketch on pages 381 and 382 of History of the Town of Cornish, New Hampshire, with Genealogical Record, 1763-1910, Volume 2. 28 - A Child of John Deming - 3 yrs. The child was John Harvey Deming, born December 23, 1834, son of John Milton Deming and Charlotte (Huggins) Deming, as mentioned on page 134 of History of the Town of Cornish, New Hampshire, with Genealogical Record, 1763-1910, Volume 2. 9 - Wife of Doctor Samuel Hardy - 30. Presumably Sally (Carroll) Hardy, first wife of Samuel Hardy, as mentioned on pages 188 and 189 of History of the Town of Cornish, New Hampshire, with Genealogical Record, 1763-1910, Volume 2. 1 - Child of Zebedee Edminster - 2 yrs. The child, born in 1836, was the son of Zebedee Edminster (1792-1858) and Tirzah (York) Edminster, as mentioned on pages 145 and 146 of History of the Town of Cornish, New Hampshire, with Genealogical Record, 1763-1910, Volume 2. 30 - Mrs. Nathaniel Bartlett, Wife of Mr. N. Bartlett - Cm, 70. Anna (Fitch) Bartlett, born in 1762, wife of Nathaniel Bartlett, as mentioned on page 19 of History of the Town of Cornish, New Hampshire, with Genealogical Record, 1763-1910, Volume 2. 8 - Wife of John Atwood. Perhaps Hannah S. (Ward) Atwood, born in 1811 and died on June 8, 1838, but she was the wife of David Atwood, not John Atwood, as mentioned on page 7 of History of the Town of Cornish, New Hampshire, with Genealogical Record, 1763-1910, Volume 2. 17 - An ? of Deborah, daughter of Capt. Nahum Chase - Deceased. Possibly a child of Deborah (Chase) Thompson, who was born August 24, 1789, daughter of Nahum Chase and Deborah (Freeman) Chase and wife of Rev. Lathrop Thompson, and whose death is listed in the post featuring 1837 deaths. If you can interpret the word that's intended to be inserted, please let me know. 21 - Mrs. Rachel, Wife of Moses Walker - Con, 27. 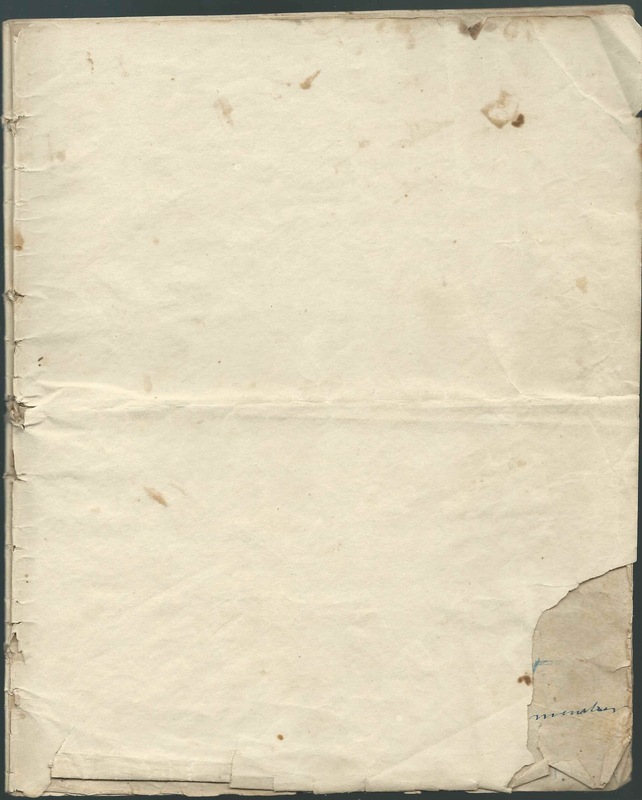 Rachel M. (Davis) Walker, wife of Moses Walker; as mentioned on page 388 of History of the Town of Cornish, New Hampshire, with Genealogical Record, 1763-1910, Volume 2. 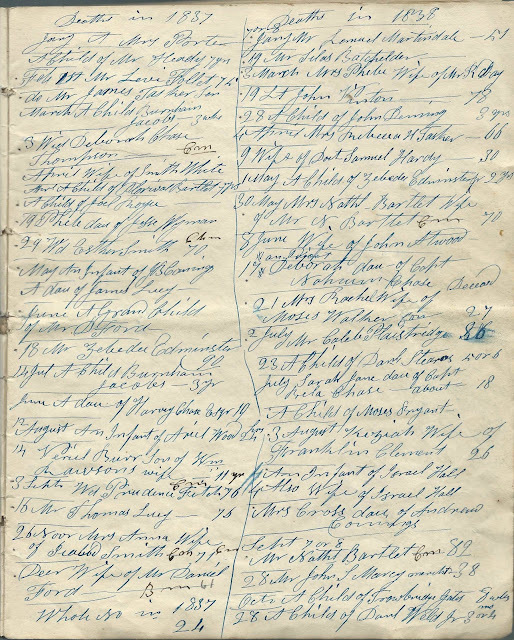 2 - Mr. Caleb Plaistridge, 86; as mentioned on page 287 and 288 of History of the Town of Cornish, New Hampshire, with Genealogical Record, 1763-1910, Volume 2. 23 - A Child of Daniel Stearns - 5 or 6. The child was Alanson Stearns, born in 1833, son of Daniel Stearns and Mary M. (Williams) Stearns, as mentioned on page 349 of History of the Town of Cornish, New Hampshire, with Genealogical Record, 1763-1910, Volume 2. Sarah Jane, daughter of Capt. Bela Chase - about 18. Sarah Jane Chase was born in 1819 and died July 24, 1838, daughter of Bela Chase and Alice (Child) Chase, according to mention on pages 66 and 67 of History of the Town of Cornish, New Hampshire, with Genealogical Record, 1763-1910, Volume 2. A Child of Moses Bryant. The child was Henry Bryant, son of Moses Bryant and Tirzah (Kingsbury) Bryant, as mentioned on page 35 of History of the Town of Cornish, New Hampshire, with Genealogical Record, 1763-1910, Volume 2. Wording on Henry's gravestone, shown in his Find a Grave memorial, appears to name his mother as Miriam. 3 - Keziah, wife of Franklin Clement - 26. She was Keziah (Williams) Clement, born in 1812, daughter of Abijah Williams and Susanna (White) Williams, and wife of Benjamin Franklin Clement, as mentioned on page 91 of History of the Town of Cornish, New Hampshire, with Genealogical Record, 1763-1910, Volume 2. Both Keziah's gravestone and the sketch in the book give her death date as August 2, 1838. An Infant of Israel Hall; apparently a child who died with its mother, Sarah P. (Chase) Hall, as noted in the next entry. 4 - Also, Wife of Israel Hall. She was Sarah P. (Chase) Hall, second wife of Israel Hall, whose first wife was Sarah's sister Mary B. (Chase) Hall. Apparently Sarah died in childbirth, along with the infant mentioned above. 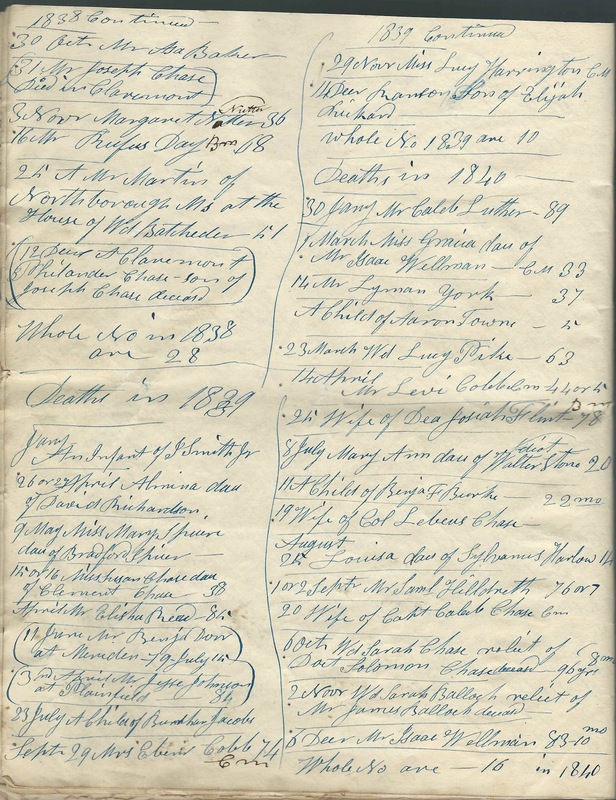 See a sketch and image of Israel Hall with information on his wives and children on pages 181 and 182 of History of the Town of Cornish, New Hampshire, with Genealogical Record, 1763-1910, Volume 2. Mrs. Cross, daughter of Andrew Comings. Nelly P. (Comings) Cross, born August 16, 1810, daughter of Andrew Comings and Lydia (Jackson) Comings and wife of John G. Cross; as mentioned on page 109 of History of the Town of Cornish, New Hampshire, with Genealogical Record, 1763-1910, Volume 2. 7 or 8 - Mr. Nathaniel Bartlet, Cm, 89. Nathaniel Bartlett, whose death is given as September 7, 1838 in a sketch on page 19 of History of the Town of Cornish, New Hampshire, with Genealogical Record, 1763-1910, Volume 2. September 7, 1838 is also engraved on his gravestone, as shown in the photograph accompanying his Find a Grave memorial; interesting, his gravestone gives his age as 83 years. 28 - Mr. John S. Marcy, merchant, 38. There's a Find a Grave memorial for a John S. Marcy, age 40 at his death, that mentions his cousin, also named John S. Marcy, who was born in 1799. I believe the memorial is for the John S. Marcy written in the journal. A Child of Trowbridge Gates - 8 wks. Child of John Trowbridge Gates, shown as John Strowbridge Gates, and wife Mary (Bryant) Gates, as mentioned on page 172 of History of the Town of Cornish, New Hampshire, with Genealogical Record, 1763-1910, Volume 2. 28 - A Child of Daniel Weld, Jr., - 3 or 4 mo. Child, four weeks, of Daniel Weld, Jr., and Mary (adopted name Harlow) Weld, as mentioned on page 397 of History of the Town of Cornish, New Hampshire, with Genealogical Record, 1763-1910, Volume 2. 30 - Mr. Asa Baker; gravestone shows a death date of October 29, 1838 as does his sketch on page 14 of History of the Town of Cornish, New Hampshire, with Genealogical Record, 1763-1910, Volume 2. 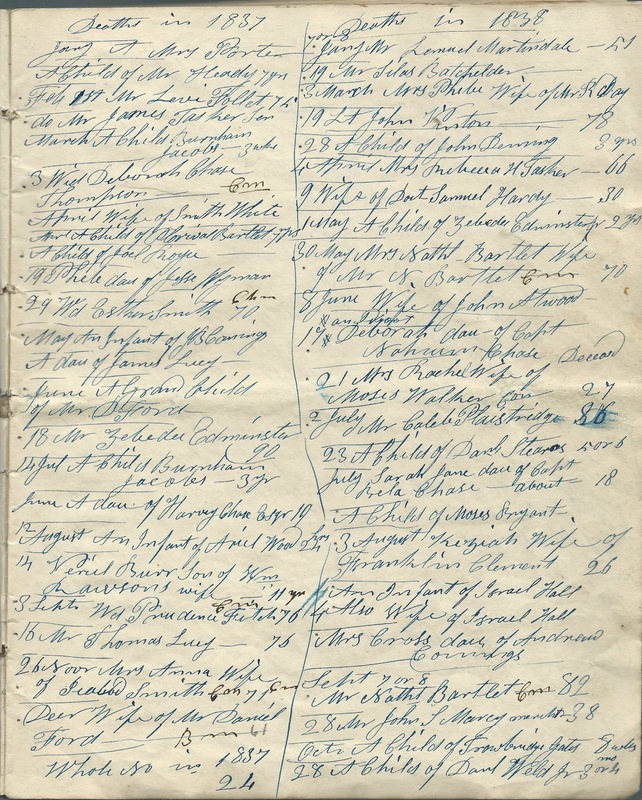 31 - Mr. Joseph Chase, Died in Claremont; mentioned on page 70 of History of the Town of Cornish, New Hampshire, with Genealogical Record, 1763-1910, Volume 2. 3 - Margaret Nutter, 36. Born in 1802, daughter of Thomas I. Nutter and Margaret (?) Nutter; as mentioned on page 279 of History of the Town of Cornish, New Hampshire, with Genealogical Record, 1763-1910, Volume 2. 16 - Mr. Rufus Day, Bm, 68; as mentioned on pages 127 and 128 of History of the Town of Cornish, New Hampshire, with Genealogical Record, 1763-1910, Volume 2. Note that Rufus' wife Phebe (Choate) White Day had died earlier this year, on March 3. 12 - At Claremont, Philander Chase, son of Joseph Chase, deceased. The child was Joseph Philander Chase, born September 23, 1820, son of Joseph Chase and Elizabeth (Stevens) Chase, as mentioned on page 73 of History of the Town of Cornish, New Hampshire, with Genealogical Record, 1763-1910, Volume 2. If you see errors in the transcription or if you have information on any of the people mentioned above, please leave a comment or contact me directly.